PLEASE NOTE: ECF Members of at least Silver level may deduct £6 (juniors £4) from the entry fee for each of the tournaments on this page except for the Weekend Major. This event will provide opportunities to qualify for titles and for the FIDE Rating List. Such ratings go down to 1000, thus it would be reasonable for any player graded over ECF 50 to aspire to a partial FIDE Rating here. Rate of Play: 40 moves in 100 minutes, followed by 20 moves in 50 minutes, followed by all the moves in 15 minutes, with the addition of 30 seconds for each move from the start. The entry fee will be reduced by 50% for players aged under 21 or over 60 on 01.09.2013 and for registered disabled players. All English entrants are required to be Gold or Platinum members of the English Chess Federation and must quote their membership number when entering. Other entrants are required to be members of a national federation affiliated to FIDE. Prizes: £2000, £1200, £750, £500, £350, £250, £200, plus Horntye Best Game Prize + trophy. The winner will hold the Golombek Trophy for one year. The three highest placed eligible players not already qualified will be entitled to play in the British Championship 2014. GM Chris Ward will provide commentaries on the games in progress, starting at 14.45 each afternoon. Hastings Masters games will be shown on this website daily. Names of entrants to this and all other tournaments will appear from the start of October. The final cross-tables of all tournaments will be displayed. Four round Swiss tournament over two days. See the Congress Schedule for playing times. This event will be in graded sections of approximately 16 players. Prizes (for each section): £120, £75, £50 plus a grading prize of £30. Rate of Play: 40 moves in 100 minutes, followed by all the moves in 20 minutes. Five Round Swiss Tournament over five days. See the Congress Schedule for playing times. This event will be in graded sections of approximately 16 players. Rate of Play: 40 moves in 100 minutes followed by all the moves in 20 minutes. Five-round Swiss tournament over five days. See the Congress Schedule for playing times. This event will be in graded sections of approximately 16 players. Prizes: £300, £200, £100, plus a grading prize of £50 for players below ECF 165. Prizes: £300, £200, £100, plus a grading prize of £50 for players below ECF 135. Prizes: £100, £75, £50, £25 plus grading prizes of £25 for players graded below ECF 100 and ECF 80. Players may take a ½ point bye in any round except the last. Requests for such byes must be stated on the entry form. The Maureen Charlesworth Trophy will be awarded for the most meritorious performance by a local player. Further details will appear in the programme. Players arriving 30 minutes or more after the start of a session in any tournament shall lose by forfeit, unless the arbiter decides otherwise. Horntye Park is probably the best regular chess venue in the country. It is just over 1km from the town centre and is shown on the map on this website. Bus services run from the town centre to the venue. There is adequate car-parking space. The playing venue is accessible to players with disabilities. There are toilet facilities for players with disabilities and a lift between floors. Catering facilities will be available during most of the playing times. The telephone number of the chess office at Horntye Park will be 0758 214 9239 from 28 December. Players are reminded of the ECF membership scheme. Membership is at four levels – Bronze, Silver, Gold and Platinum. For every player, except in the Masters and Weekend Major Tournaments, who is not an ECF member or who is a Bronze member, the Congress has to pay a fee of £6 (£4 for juniors who must be under 18 on 1st September 2013) to the ECF for each tournament entered. No fee is payable for ECF members of at least Silver level. 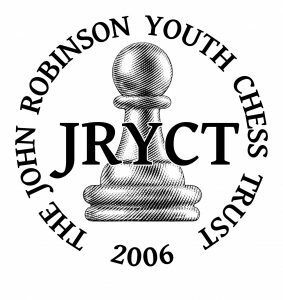 However, all ECF members of at least the Silver level may deduct £6 (£4 for juniors who must be under 18 on 1st September 2013) from the entry fee for each tournament entered. Players wishing to take advantage of these deductions per tournament are strongly recommended to be at least a Silver member before entering the Congress. It may be possible for non-members and Bronze members to become Silver members at the Congress.